For V2, I have also released an A4 Portrait version of the guide which might be useful for home printing and mobile use. Its also a slightly smaller file. Huge thanks to Nissan and NISMO for sponsoring and supporting the guides. Given its just me and the number of hours, it simply wouldn’t be possible without their support. Thanks to everyone for their support, be it commentators (all used the guides in 2014), team personnel, marshals and the best fans in the world. 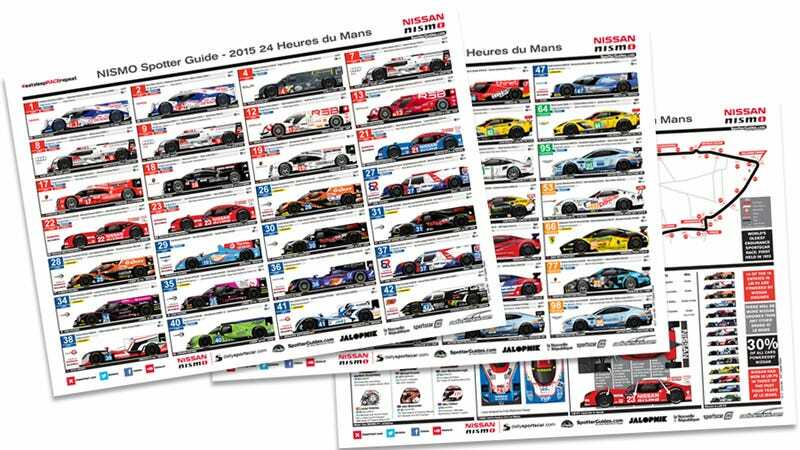 Next guides will be the official IMSA guide for Watkins Glen and another race in Frane, The Tour dr France! EDIT: Small update Friday am. More livery changes for the #55 AF Corse, new qualifying lap record and sadly, the marker of doom has made its appearance with the withdrawal of the #63 Corvette :( On the plus side, Jan is OK.
2016 Racing Wall Planner now available!